Unique educational experience. The MA in International Studies is an accelerated graduate degree program that will cultivates academic, cultural, research, and language skills alongside practical work experience in China. After a summer of intensive courses at the Irvine campus, we travel overseas and immediately start living, working, and studying in China. Our program allows us to choose from three concentrations: International Business, International Education, and International Development. Online components of the curriculum allow for flexibility while we are living and working in China. Teach English, study, and live in China while earning your Master of Arts in International Studies – all possible in just one year! Unique educational experience. The MA in International Studies is an accelerated graduate degree program that will cultivate your academic, cultural, research, and language skills alongside practical work experience in China. After a summer of intensive courses at our Irvine campus, you will travel overseas and immediately start living, working, and studying in China. Our program allows you tochoose from three concentrations: International Business, International Education, and International Development. Online components of the curriculum allow for flexibility while you are living and working in China. Work in China with full benefits. The MAIS program prepares you to work in China, conduct research for your capstone project, and negotiate living on your own in a new culture. You will have the opportunity to live in Shanghai, Hangzhou,Kunming, or their nearby cities, which are all among the most important historical, cultural, and financial centers in China. You will receive a legal work visa, monthly salary, housing or housing allowance, and reimbursement of round-trip airfare from your employer in China. This is truly a once-in-a-lifetime opportunity to teach English (or a subject of your strength in English) while living in China and concurrently earning your MA. Personal interaction with faculty. Our faculty and staff come from diverse backgrounds and fields. What they all share is real-world experience, extraordinary expertise, a faith-based perspective, and a commitment to your success. You will have face-to-face summer classes with your professors in Irvine and receive personal supervision and support from our representative office in Shanghai. When it comes time to write your thesis, you will work one-on-one with a faculty thesis advisor who will provide oversight, counsel, and collaboration in this culminating project of your MAIS experience. Globalize your resume. The MAIS program exemplifies Concordia’s mission as a Christian university, which encourages students to engage people and cultures worldwide. You will have opportunities to build personal and business relationships; develop international experience and a personal understanding of how international relations work; travel to ancient destinations, futuristic metropolises, and cultural wonders; and discover and pursue new interests, passions, and dreams.Networking opportunities abound - from peers in your cohort to business professionals who represent multinational corporations. Financial benefits and aid. This is one of the only graduate studies programs where you will get paid while earning your master's degree. Estimated benefits while you are living in China, including housing and salary, amount to $17,000 or more, with exact amounts varying from employer to employer. Tuition for the MAIS is competitively priced at $635/unit. Financial aid is available, and military veteranswill benefit from Concordia University's status as a Post 9/11 GI Bill and Yellow Ribbon institution. Students with a teaching credential or sufficient Mandarin can also test out of courses and save on overall tuition costs. No GRE/GMAT or prior Mandarin language skills required. Ideal applicants to this program are those who desire to teach in new cultural settings; are prepared to learn, serve, and lead; and possess cultural sensitivity, responsibility, diligence, resilience, independence, and ethical character. You must be a native English speaker and hold a bachelor's degree with a minimum GPA of 2.75 before the start of the cohort, which takes place in June of every year. Another unique opportunity for our students studying International Business is the ability to combine the Master of Arts in International Studies degree with a Master of Business Administration (MBA) degree. This joint degree program will count up to 16 units of coursework completed in the MAIS program toward completion of an MBA degree. If you are interested in international business and studying abroad, our program will allow you to receive dual diplomas in as little as two years of full-time study. 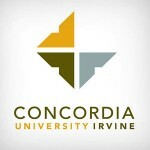 For more information about the Master of Arts in International Studies at Concordia University Irvine, please fill out our inquiry form or contact our Program Coordinator, Marsha Castillo, at marsha.castillo@cui.edu or (949) 214-3485.